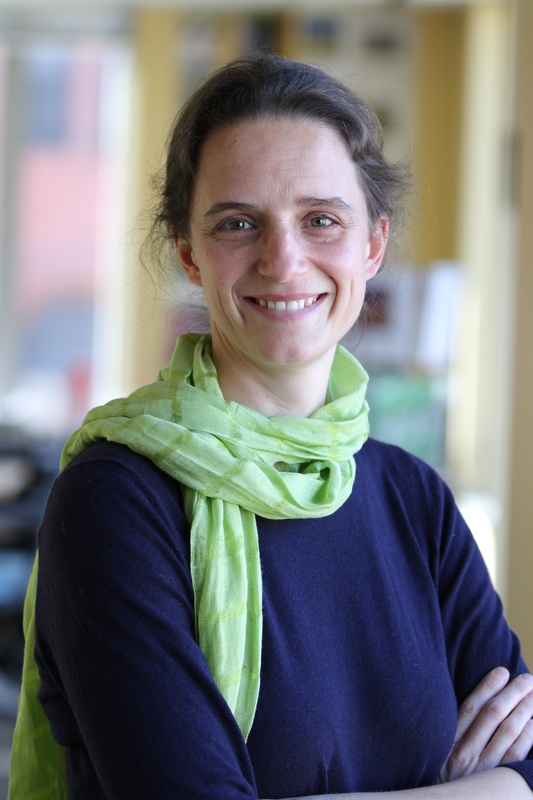 Florence is a Research Associate with the Global Restoration Initiative team. She works with various stakeholders in East Africa on restoring the vitality of degraded landscapes, helping them implement the Restoration Opportunities Assessment Methodology (ROAM). She is an expert in ecosystem services and led the development of the Ecosystem Services Review for Impact Assessment, a structured method to assess project impacts and dependencies on ecosystem services during environmental and social impact assessment (ESIA). Prior to joining WRI, Florence used her expertise in remote sensing to evaluate the risks of deforestation in the Venezuelan Andes and detect indicators of land mines in Croatia. Florence has an Agronomy Engineer Degree from the Catholic University of Louvain-la-Neuve (Belgium) and a Master in Remote Sensing and Geographic Information System (GIS) from the Free University of Brussels (Belgium). The New York Declaration on Forests issued at the UN Climate Summit last month includes a global pledge to restore 350 million hectares of deforested and degraded landscapes by 2030. Several countries confirmed their commitment to restore millions of hectares of degraded land, with Ethiopia making one of the most significant pledges—setting a target to restore 15 million hectares of degraded and deforested land into productivity by 2025. The Wayuu people in northern Colombia depend on shrubland for grazing their livestock. These herds serve as the Wayuus’ main source of income and food, and this is partly why they depend so heavily on the existence and condition of shrubland ecosystems. But livestock are also used to pay dowries or make amends, playing a major role in facilitating social interactions between families and clans. If an oil and gas project adversely affects the shrubland ecosystem, it could impact not only the Wayuus’ income and protein intake, but the social bonds that hold these communities together. Most planners fail to account for the multiple—and sometimes underappreciated—benefits that people derive from their environment, a concept known as ecosystem services. While new Environmental and Social Impact Assessment (ESIA) standards require impact practitioners to account for ecosystem services when evaluating a proposed project’s potential impacts, many lack a methodological approach that would enable them to properly integrate social and environmental issues. Until now, that is. WRI’s new guide, Weaving Ecosystem Services in Impact Assessment: A Step-by-Step Method, aims to highlight the interdependence of development projects, people, and the environment. The guide helps impact practitioners and project developers evaluate the social implications of impacts on ecosystems brought by highways, dams, oil and gas wells, and other such projects. By systematically incorporating a consideration of ecosystem services into environmental and social impact assessments, planners can mitigate negative impacts on ecosystem services while also achieving project objectives. Ensuring that development projects benefit both people and the planet is becoming more and more of a priority. Environmental and social impact assessments (ESIA) have been in use for decades to consider the effects of projects such as dams, highways, and oil and gas development. Over the years, ESIAs have evolved to cover both environmental and social impacts, including health and human rights. However, the assessments often study social or environmental factors separately from one another, missing the many ways in which they interact. In 2012, important financial institutions--the International Finance Corporation and the Equator Principles Financial Institutions--took a welcome step towards promoting a more holistic approach to impact assessment, requiring their clients to address ecosystem services as part of their due diligence. Incorporating the concept of ecosystem services into ESIA can ensure that affected stakeholders, project developers, financial, and governmental institutions understand the full scope of a proposed project’s impacts on people and the environment. But as I recently learned at the annual conference of the International Association for Impact Assessment (IAIA) two weeks ago, there’s a lot of uncertainty about what the concept of “ecosystem services” really means and how it can be applied to conducting impact assessments. It’s a good time to clear up confusion on this critically important yet complex issue. Today the World Resources Institute released Ecosystem Services Review for Impact Assessment: Introduction and Guide to Scoping, the first of two Working Papers presenting a new methodology to help incorporate ecosystem services into impact assessment. On January 1, 2012, the International Finance Corporation (IFC) will begin requiring client projects to “maintain the benefits from ecosystem services.” For example, a project draining wetlands would have to examine its impact not only in terms of biodiversity loss, but also in terms of the loss of pollination services for surrounding farmers and loss of fish breeding and nursery grounds for fishermen. The following Q&A and photo essay originally appeared on allAfrica.com, and are reposted with permission. State of the art GIS maps shed new light on Uganda’s development challenges. This report uses mapping data to examine the spatial relationships between poverty, livestock production systems, the location of livestock services, in order to ensure that government investments in the livestock sector benefit smallholders and high-poverty locations. This report presents maps and analyses designed to inform the policies surrounding poverty reduction efforts in Uganda and to help reach the 2015 national targets on safe drinking water and improved sanitation. Drawing on Uganda’s rich baseline of wetland data and poverty mapping, this report provides a detailed examination of the links between ecosystem services and the location of poor communities and presents practical lessons for policy-makers across government. This report provides a new approach to integrating spatial data on poverty and ecosystems in Kenya. It is endorsed by five Permanent Secretaries in Kenya and with a Foreword by Wangari Maathai (recipient of the 2004 Nobel Peace Prize).